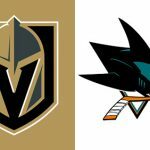 Game 7 on Tuesday features Vegas golden Knights at the San Jose Sharks in a winner-take-all from the Western Conference with both clubs at -110 odds. WSOP winner Jonathan Duhamel gets an invitation from the Montreal Canadiens and a bill from the taxmen. Can Montreal Shock the World In Game 7 Against The Penguins? A hot goaltender is a game changer, he’s the wildcard, he’s the exception to the rule. Can Halak be that guy for the Montreal Canadiens tonight? The Montreal Canadiens once again find themselves in a familiar spot with their backs against the wall facing elimination, down 3-2 in the series.